The best way to get around Dunedin City is in RaD Car Hire rental vehicles. 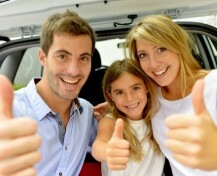 We have a large variety of quality cars and vans at affordable prices. Rental cars and van rentals are available for hire 24 hours per day and 7 days per week. Our city office is conveniently located at 701 Great King Street North. During office hours, our friendly staff will help you through the hire process and get you on the road as soon as possible. If you collect the vehicle outside of office hours, your RaD Car Hire vehicle will be in one of our dedicated carparks with the key located in a security box. Simply enter your code, retrieve the car key, and drive away. The process is fast and efficient with no waiting and no queues. Dunedin city is located 30kms from Dunedin airport. 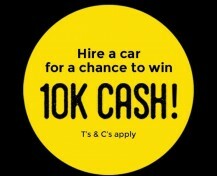 Hiring a vehicle from RaD Car Hire is a great way to see our city. 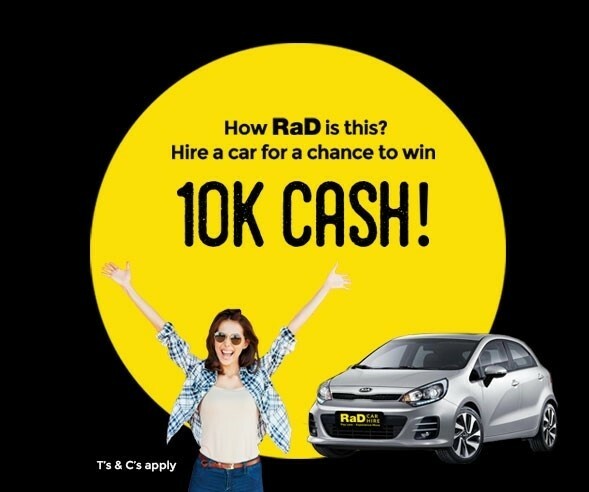 Choosing a car from RaD is easy. 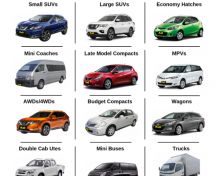 We have a range of cost effective rental vehicles from fuel efficient small cars to AWD/4WD wagons to large people movers. 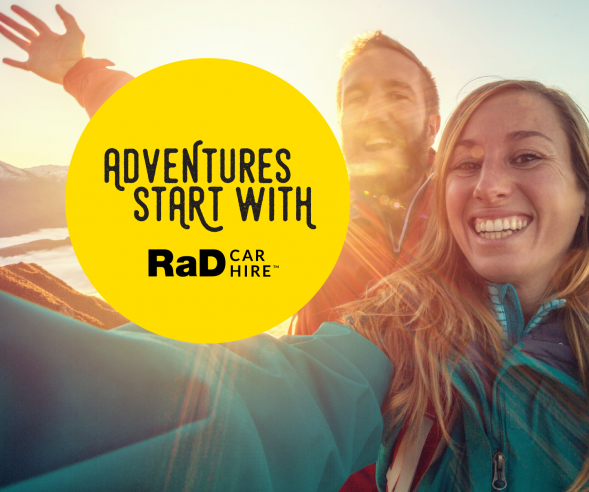 RaD Car Hire Dunedin has your needs covered with vehicles small and large including: economy hatches, compact sedans and hatches, intermediate sedans and hatches, AWD full size station wagons, 4WD SUV's, MPV 8 seat people movers, and vans. Vans can be configured with 10 seats or as cargo carriers. A luggage trailer is available for vehicles with a tow bar. Our office location is 701 Great King Street North near the University of Otago, Botanic Gardens, Baldwin Street, Forsyth Bar Stadium, Speights Brewery, Emerson's Brewery, Olveston House, and the majority of Dunedin Motels, Hotels, Apartments, B&B. Drive to local sites around Dunedin City including the Otago Peninsula, Albatross Colony, Larnach Castle, Port Chalmers, Aramoana, St. Clair Beach, Tunnel Beach and other places of interest. 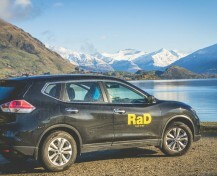 Hire cars from RAD Rentals are the most convenient form of transport to get around Dunedin. Dunedin is a gateway to all of Otago, Southland, and Canterbury. Plan your travels from Dunedin and drive along the Southern Scenic Route to visit Catlins, Invercargill, Bluff, and Milford Sound. Head North to see Moeraki Boulders and historic Oamaru. Venture inland to Central Otago and enjoy Cromwell, Queenstown, and Wanaka. 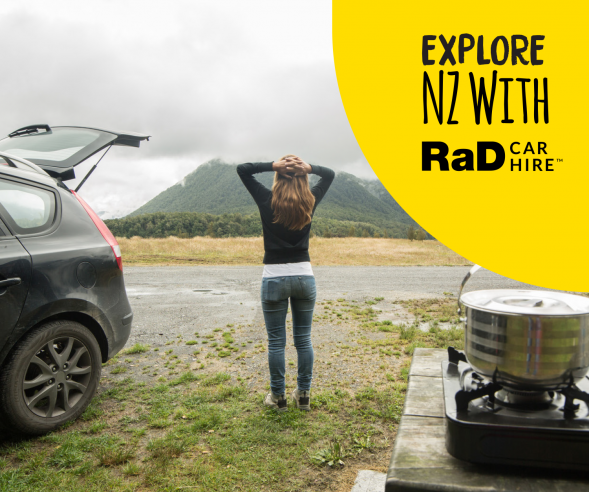 Pay Less and Experience More with RaD Car Hire in Dunedin. Return security box to drop station located on the garage door. Return key to drop station located on the garage door. Reminder: Return vehicle full of fuel.